Opponents of hydraulic fracturing celebrated a major victory over the oil and gas industry on Monday, June 30 after the highest court in New York state agreed that cities and towns can prohibit drilling within their boundaries. 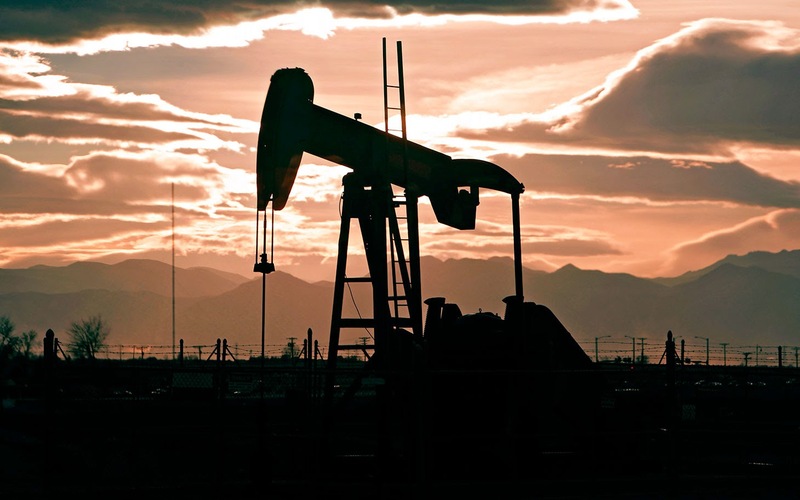 In a 5-2 ruling, the New York state court of appeals affirmed previous court decisions that two towns in upstate New York – Dryden and Middlefield – had the authority to use zoning ordinances to control land use, effectively banning hydraulic fracturing, known as fracking. Drillers and landowners that brought the suits against the towns argued that state law prohibited them from blocking fracking. A statewide moratorium imposed in 2008 has kept oil and gas companies from digging into New York's share of the Marcellus Shale, and this decision deals another blow to the industry. "In New York at least the communities know that they have the power to protect themselves, and we're hopeful that it will be an inspiration to people around the country," said Deborah Goldberg, the lawyer who argued on behalf of the town of Dryden, which was sued by Norse Energy, an Oslo-based petroleum and natural gas company. The Middlefied case was brought by a dairy farm that had leased its land for drilling. Goldberg added: "If we had not won this case, localities would be completely at the mercy of the industry." Before Monday's court decision, 77 municipalities had passed permanent bans against fracking, and more than 100 municipalities had enacted temporary moratoriums, according to Karen Edelstein, a New York program coordinator at FracTracker Alliance. And roughly 40 towns have passed resolutions in support of gas development, according to the Joint Landowners Coalition of New York. All eyes are now on New York governor Andrew Cuomo who must decide whether to uphold the statewide moratorium he inherited when taking office in 2011. The moratorium bans fracking, which is a controversial way of accessing natural gas in shale rock by pumping water, sand and chemicals into wells at very high pressures. Thomas West, an attorney who represented Norse Energy, said he is hopeful the court's decision will be an incentive for the governor to lift the ban. "Because you can't develop in New York, the next step is for the governor to decide whether to green-light the process," West said. "We're actually hopefully that this decision might help him green-light the process because now development will be more limited in New York and it will only occur where municipalities have approved the development." The state has more than 900 towns, meaning the lifting of the statewide moratorium could leave a patchwork of towns where fracking is banned. After Monday's court ruling, the campaign group New Yorkers Against Fracking called on the governor to issue a permanent statewide ban. "The only satisfactory resolution is a statewide ban on fracking because that is the only thing that will protect our air, water and health," said John Armstrong, a spokesman for the group. "Water and air contamination don't abide by city limits," he added. Cuomo has directed the state's health commissioner to review the health impacts of gas drilling and fracking, and has said he will make his decision based on the study's findings. Executive director of the Independent Oil & Gas Association of New York, Brad Gill, who called the court's decision another "nail in the coffin", said it was ultimately up to the governor to determine the industry's fate in the state. "We will just have to wait and see when the dust settles what impact this will have, he said. But in the short term, Gill said he believes the decision will have a chilling effect on the industry. "I think there's really not much reason for very many companies to be investing in New York right now," he said. The court was careful to sidestep the drilling debate, and make clear that at issue is the relationship between state and local governments, and specifically, municipalities' "home rule" authority to regulate their land use. "These appeals are not about whether hydrofracking is beneficial or detrimental to the economy, environment or energy needs of New York, and we pass no judgment on its merits," according to the majority ruling.